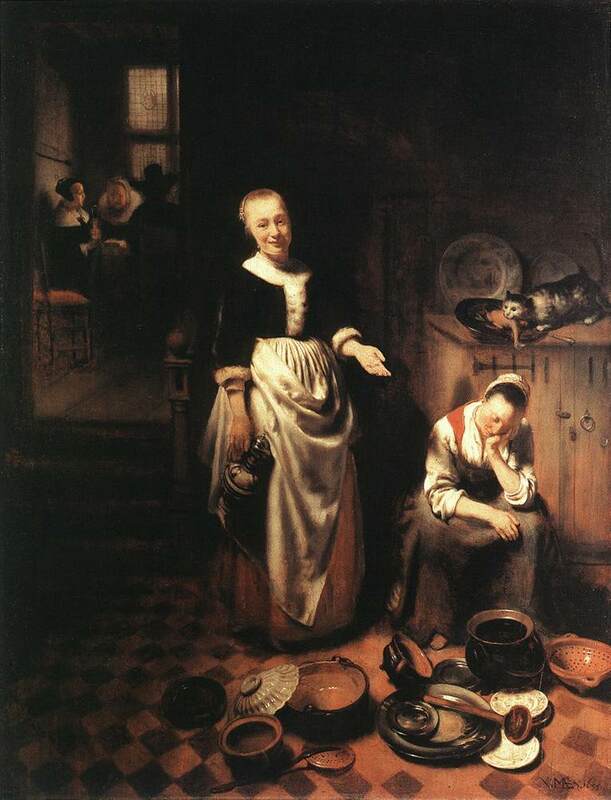 Dutch painter. 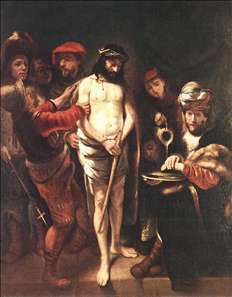 In about 1648 he became a pupil of Rembrandt in Amsterdam, staying there until 1654 when he returned to his native town Dordrecht. 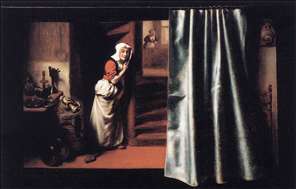 In his early years he concentrated on genre pictures, rather sentimental in approach, but distinguished by deep glowing colours he had learnt from his master. 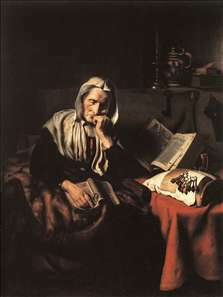 Old women sleeping, praying, or reading the Bible were subjects he particularly favoured. 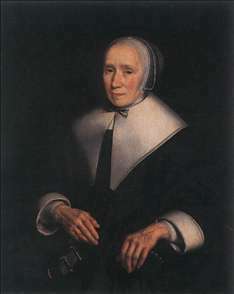 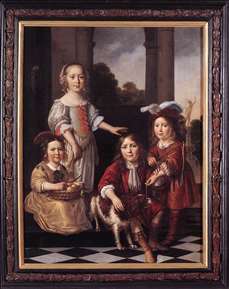 In the 1660s, however, Maes began to turn more to portraiture, and after a visit to Antwerp around the middle of the decade his style changed dramatically. 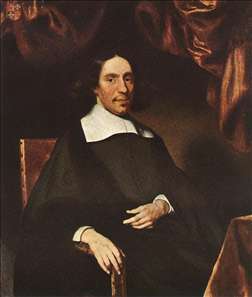 He abandoned the reddish tone of his earlier manner for a wider, lighter and cooler range (greys and blacks in the shadows instead of brownish tones), and the fashionable portraits he now specialized in were closer to van Dyck than to Rembrandt. 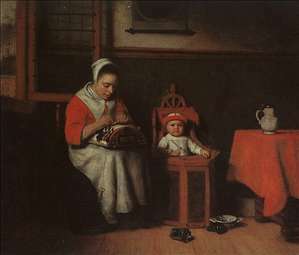 In 1673 he moved permanently to Amsterdam and had great success with this kind of picture. 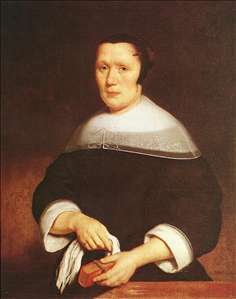 Maes was a fairly prolific painter and is well represented in, for example, the National Gallery, London, and the museum at Dordrecht. 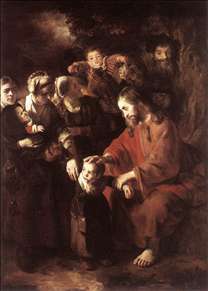 See more details about "Portrait of Four Children"
See more details about "Christ Blessing the Children"
See more details about "Portrait of Justus Criex"
See more details about "Eavesdropper with a Scolding Woman"
See more details about "The Idle Servant"
See more details about "The Lacemaker"
See more details about "Old Woman Dozing"
See more details about "Portrait of a Woman"